From fast duplex print speeds in vivid color to robust security, the HP Color LaserJet Pro M452dw will keep up with your active office. Because this HP laser printer wakes up to print faster than the competition you don't have to waste a second. Conserve energy and secure your confidential materials with ease. 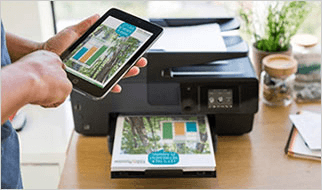 Quickly connect while you're in the office using built-in Ethernet and wireless capabilities or print from your smartphone with Apple AirPrint, the HP Smart app, and more. FAST PRINTING, SOLID PROTECTION – Ideal performance and security built for the way you work: this HP laser printer prints fast and delivers robust security to guard against threats. LEGENDARY HP QUALITY – This HP wireless printer comes with laser technology, produces up to 600 x 600 dots per inch (dpi), and is PANTONE calibrated. ACHIEVE A HIGHER LEVEL OF SECURITY AND CONTROL – Protect information and control access to confidential print jobs with HP JetAdvantage Private Print. Media Size A4 - 8.30" x 11.70"; A5 - 5.80" x 8.30"; A6 - 4.10" x 5.80"; B5 (JIS); B6 (JIS); 16K; Oficio - 8.50" x 13.39"; Postcard; DL Envelope - 4.30" x 8.60"; C5 Envelope - 9" x 6.68"; B5 - 6.92" x 9.84"; Custom Size; 7.68" x 10.63"; 7.24" x 10.24"; 7.76" x 10.75"; 3.94" x 5.91"; 2.99" x 5"; Letter - 8.50" x 14.02"; 3.94" x 5.83"
I’m satisfied with this printer. FloridaMissouri: When I opened the box there was a paper right on top showing the safe way to unbox it. With the instructions I had my wireless connection set up quickly. It prints beautiful. Highly recommended. Jason80: Easy setup. Fast response when printing from my phone. Printing is great. 3 Feature is only available for the HP Color LaserJet Pro M452dw. Microsoft and PowerPoint are U.S. registered trademarks of the Microsoft group of companies. Feature works with Microsoft Word and PowerPoint 2003 and later. Only Latin language fonts are supported. 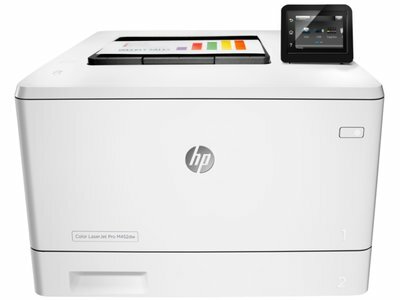 7 Feature is only supported by the HP Color LaserJet Pro M452nw and M452dw. Wireless performance is dependent on physical environment and distance from access point, and may be limited during active VPN connections.